It is amazing when one looks back on the past year, so many images flood the mind. I have been debating for the past two weeks on whether to do something deep and profound or do something completely off the grid. It seems like we have read enough “What I did on Summer Vacation” essays from every other Fly Fishing blog. We will save the deep and profound for later, let’s keep this brief simple and fun. Do a quick reflection of 2015 and look forward to what is to come. It seem like 2015 was the year everyone was offended. Whether you were arguing about the great Bobber debate or how somebody holds a fish out of the water for a glory hero shot, everyone had their opinion and felt obligated to share it. Then there is the great climate debate. What do you believe in climate change or global warming one thing is for sure we have seen above average temps for most of the year and December was the warmest we have had on record. I understand what a weather cycle is and it does repeat, but this is been a very odd weather year for certain in most parts of the country. We just had our first significant snowfall just days before the end of December, which made for pleasant fishing all month, but has us concerned about water levels for next year. I try to avoid politics for the most part, but there have been a number of presidential candidates that have me concerned for the future of this country. 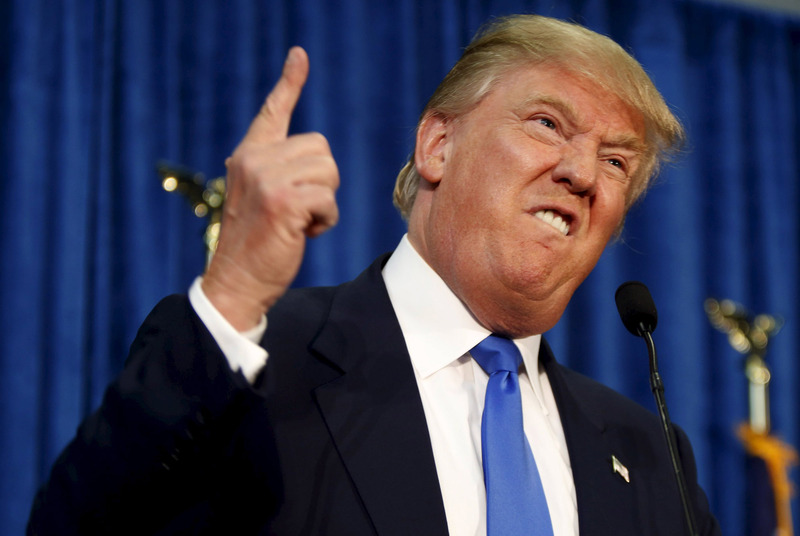 Elections used to be about voting for the best person for the job, not the lesser of two baboons. 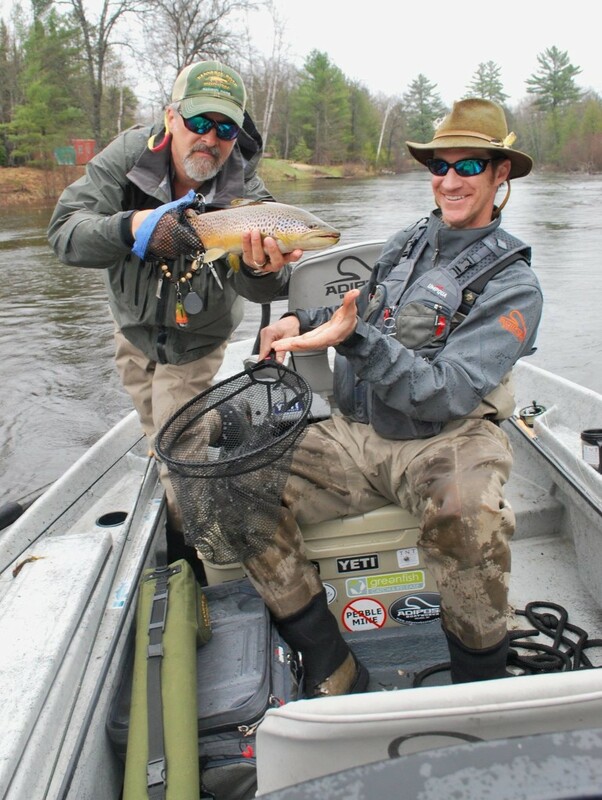 Some of the better things from last year- I got to meet and fish with John Rounds from SUP on the Fly, who also opened Adventure Bound on the Fly in Ellicottville NY. This has me excited for next year because of the number of places that we can fish and the visibility we had out on Lake Michigan chasing carp and smallmouth, possibilities are endless. I got a nice nod and mention from Orvis being Trout bum back in November. One of the best things of last year was seeing face and name in print in the 25 best towns to Fly Fishing book by Bob Mallard. I have I got a nice nod and mention from Orvis being Trout bum back in November. Gink & Gasoline have also been great supporters, with a couple of contributions, especially with concern of Asian Carp in the Great Lakes. One of the best things of last year was seeing face and name in print in the 25 Best Towns to Fly Fish book by Bob Mallard. Get your hands on a copy from Stonefly Press. I have recently restarted doing my work on the 50 Best Places to Fly Fish the Midwest. After a few setbacks and production delays, I am looking forward to having this project done this summer. a great moment from 2015~ the removal of the Golden Lotus dam. The Pigeon River now sings a new song. 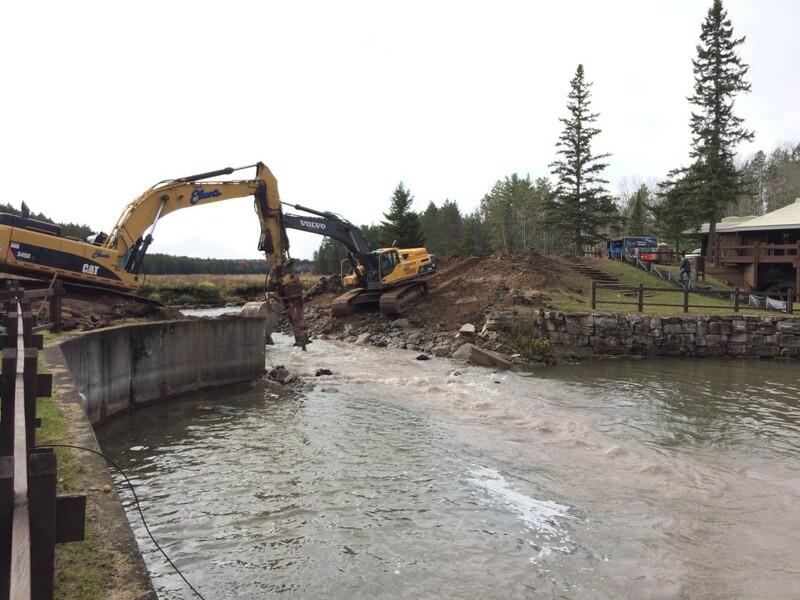 Of most notable events this past year was the removal of the damn on the upper Pigeon River at the Song of the Morning Dove Ranch and yoga retreat. There will be more reports on this in the spring as we have a more formal opening ceremony and continue to remove sediment from the removal. 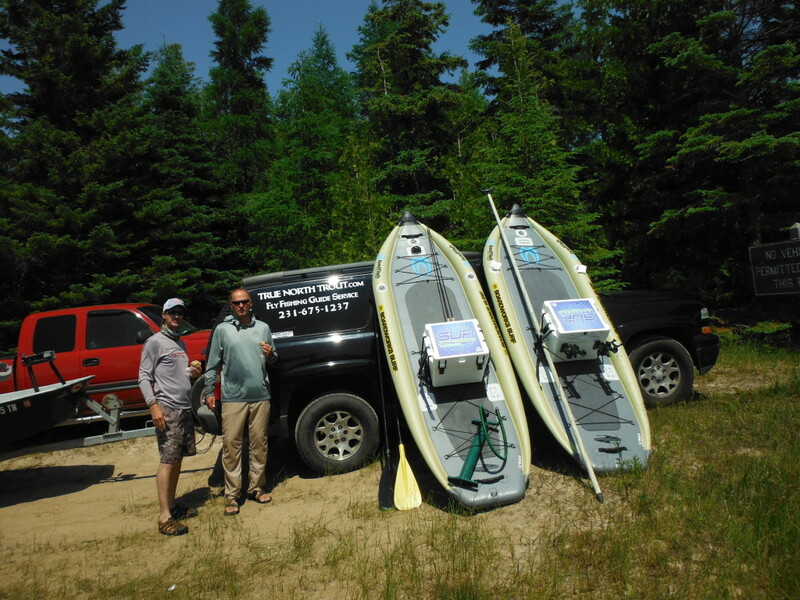 What a phenomenal job done by all the parties involved -from the Great Lakes Fishery Trust, Huron Pines, Pigeon River Country Association, Michigan Trout Unlimited/Headwaters TU, Golden Lotus Inc. and the Department of Natural Resources. It is really cool to see river begin to flow the way it once did a century ago. Personally, I was fortunate to explore some new waters and fish with a lot of new people over the year. This also allowed me to begin a sense of revival. Tying more flies this year and getting back to basics. Emergers and nymphs have me busy at the vise, most likely from watching so many more fish feeding in the past year and paying close attention to their behavior. I look forward to 2016 to test different theories and time/places to fish. Every year brings a new set of challenges and that has me excited for next year. 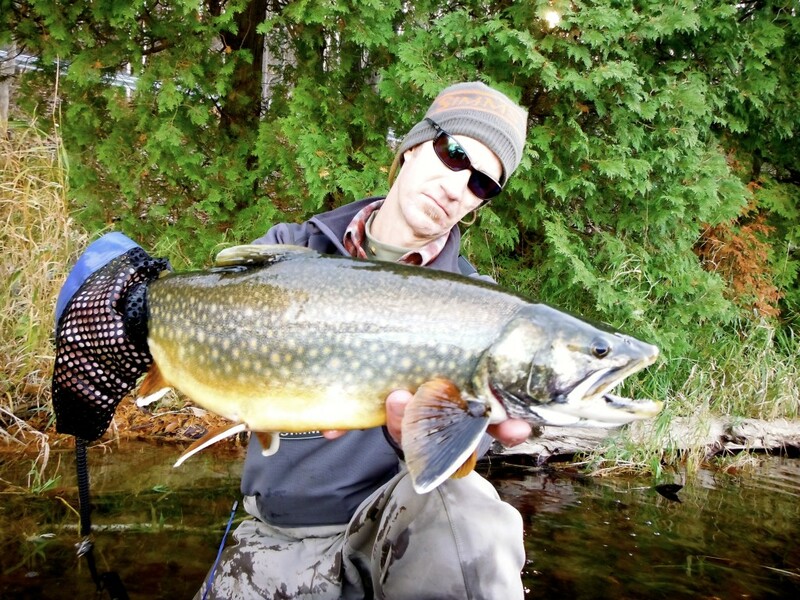 There are a few new projects in the works for True North Trout. Currently exploring the option of a partnership with a couple of different guide programs in the state, look forward to developing more relationships with like minded advocates of the sport. 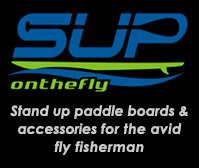 I hope to see you at one of the Fly Tying shows or the Midwest Fly Fishing Expo with Adipose Boatworks booth. Tight Lines & Cheers!! !